This luxury hotel is a member of the Small Luxury Hotels of the World network and a destination in itself. 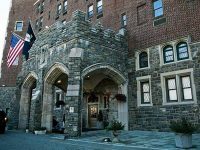 The 120-year-old landmark, also a member of the National Trust Historic Hotels of America, offers extraordinary views of the Hudson River. Most of the Luxury Suites feature antiques, fireplaces, and four-poster beds. 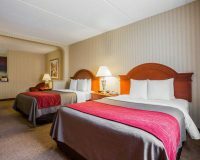 An additional wing includes 24 Junior Suites, Deluxe King, and Deluxe Queen rooms at more moderate prices. 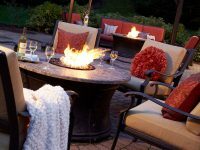 The facility boasts an outdoor heated swimming pool (open seasonally) with a mile-long trail wrapping around the breathtaking property .The award-winning New American restaurant Equus offers three distinctly elegant rooms. The newly opened THANN Sanctuary Spa, the first of its kind in the US, offers a wide variety of natural therapy treatments in an incomparable, peaceful setting with stunning design, full facilities, and a 24-hour gym. When you reserve, please ask for special heritage tour packages that include visits to area historic sites such as Kykuit, the Rockefeller Estate, seasonal festivals, and activities on offer from Historic Hudson Valley. While Tarrytown House Estate made its name as a conference center, this popular destination offers rooms for individual visitors. The “campus” contains a collection of historic and modern buildings and features river views, outdoor and indoor swimming pools, tennis courts, and an exercise facility. Cellar 49, with its wine vault in what used to be the private bowling alley of the Biddle Mansion, serves up a modern twist on classic American cuisine in a moody setting of stone, brick, and rich wood. 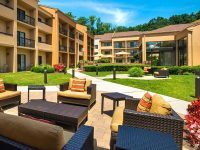 Both Sunnyside and Lyndhurst can be reached on foot from Tarrytown House. Inquire when booking about heritage tour packages that include visits to area historic sites such as Kykuit, the Rockefeller estate, and special Historic Hudson Valley events, including The Great Jack O’Lantern Blaze. 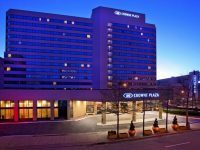 The DoubleTree by Hilton Tarrytown boasts all the comforts of home—if only your home had fireplaces warming a grand stone lobby, the award-winning Bistro Z restaurant (2013 – 2016 Diners’ Choice awardee from Open Table), an indoor heated pool and spa, and 247 rooms and suites. 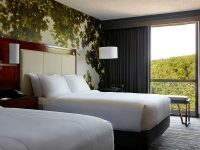 Guests enjoy easy access to Historic Hudson Valley’s Westchester sites from this prime location at the foot of the Tappan Zee Bridge, and they relish returning at day’s end to lounge in the grassy courtyard, have a cocktail on the patio, and bask in the hotel’s signature hospitality. When you reserve, ask for special packages that include visits to Historic Hudson Valley sites and special events including The Great Jack O’Lantern Blaze. 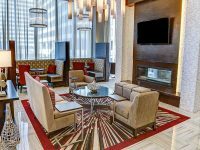 With its 10 floors and 444 rooms, the Westchester Marriott is one of the largest hotels in Westchester. 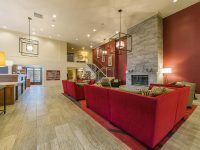 Amenities include two restaurants and four lounges, an indoor pool and an extensive onsite fitness center. Ruth’s Chris Steakhouse is in the hotel. This gothic-style hotel was built in 1926 and extensively renovated in 1996. Located on the campus of the United States Military Academy at West Point, it features river views from the rooms facing east, and from some of the public rooms and the dining terrace. West Point is on the west side of the Hudson River about 45 minutes north of Tarrytown; the scenic route is via the Bear Mountain Bridge. 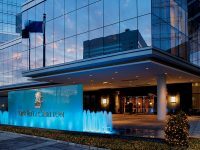 As a top regional hotel, The Ritz-Carlton, Westchester immerses its guests in all the luxury and cultural heritage that is Westchester County. 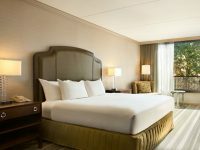 Located in vibrant downtown White Plains, it features 146 rooms, a spa, fitness center, and two restaurants: BLT Steak and The Lounge. 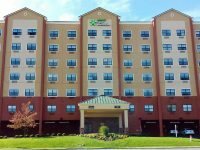 This hotel is set on an attractive 30-acre “campus” surrounded by woods just outside of White Plains. The resort-like facility includes a restaurant, lounge, indoor pool, fitness room, tennis courts. 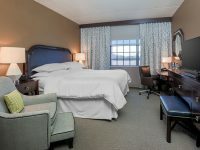 The hotel is located less than 15 minutes from Tarrytown. 450 rooms on an attractive, secluded 40-acre campus. Indoor and outdoor pool, sauna, exercise room, tennis courts. Two restaurants. 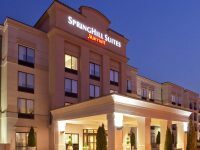 A modern business hotel located adjacent to The Westchester, a premiere shopping mall featuring anchor stores Nordstrom and Neiman Marcus. Bloomingdales and Saks Fifth Avenue are nearby. The setting is “downtown” rather than “country,” but the hotel is roughly 15 minutes from Tarrytown. Indoor pool, exercise room, restaurant. 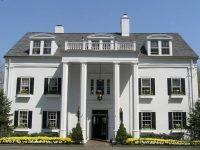 This historic (1790) inn features 12 guestrooms in addition to its well-known restaurant, in a leafy residential setting near the former Readers Digest headquarters. No pool. 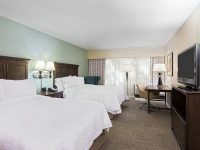 Business travelers are welcome, and rooms have high-speed internet connection. Complimentary continental breakfast.